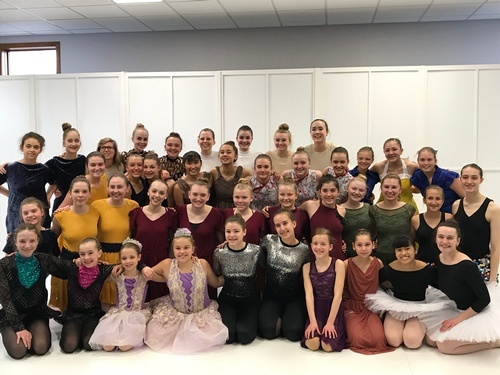 Dance Education Center’s Spring Spotlight, Wonderlust, will take place Friday, April 26, at 7 p.m. and Saturday, April 27, at 6 p.m. at Sentry Theater @1800. More than 40 dancers ages 7 to 18 make up the Spotlight cast. They will perform ballet, jazz, modern, tap and contemporary dances in roles for which they auditioned. Tickets are $10 and are available at the door. Spring Showcase performances of ACT I and ACT II will take place on Saturday, April 27, and Sunday, April 28. ACT I will be performed both days at 2 p.m. ACT II will be performed both days at 3:30 p.m. Dancers ages 3 to 18 will be featured as they perform ballet, jazz, modern and tap. Tickets are $8 and are available at the door. Proceeds from all shows will benefit The Playhouse Theater Group. Dance Education Center opened in Stevens Point in 2001. Its mission is to foster a positive environment for the development of the individual with a core emphasis on dance/movement as an educational experience. Through the years, DEC has donated more than $150,000 to a variety of non-profit local organizations.